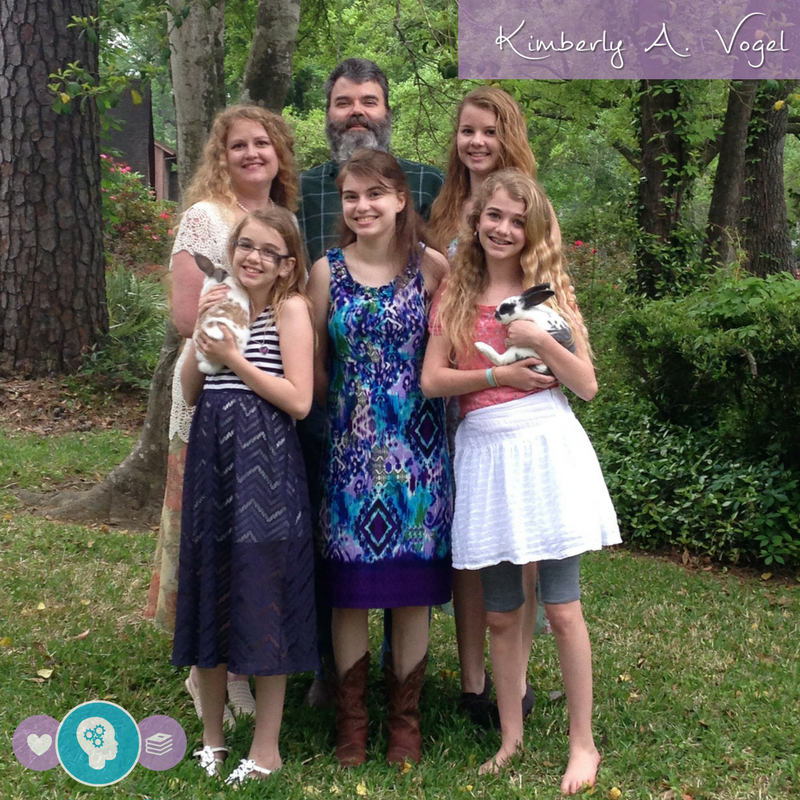 I live in Texas with my bearded, fisherman, engineer husband, four incredible, unique daughters, and the household zoo, which consists of a dog, turtle, fish, and two bunnies. I’m living my dream of motherhood, teacher, and author. Zookeeper was never on the list, and I all too quickly realized that motherhood can be rather challenging and often looks more like a zoo than a classroom. Yet I wouldn’t change a thing. This webpage is a place to share my heart for encouraging families. A few years ago, I went back to school to become an educational therapist and since then I earned my professional certification and opened my own business. I am passionate about encouraging families and educating struggling learners, a topic I frequently write, and sometimes speaks about. I currently have one graduated homeschooled child, an almost graduated homeschooler, and two others I teach at home, while running the Thinking and Learning Center – my educational therapy and testing business. I have another dream. Being an author. That dream recently came true with my first book, Ribbons of Rainbows. This beautiful storybook tells the story of two young Stones in search of God’s glory. Peeking through the window, Jem and Jeweley notice Mama Stone reading her Bible. Ribbons of rainbows flow from her. The little gems want to shine like Mama, but don’t know how. Join Jem and Jeweley on their journey of finding out how to shine with Ribbons of Rainbows too! I would love to connect with you! The fastest way is through your comment on blog posts. Those go straight to my emails, which I check throughout the day. The next best way is to find me on social media. On Facebook I share my blog posts and other articles I find helpful and encouraging. It’s my favorite social media place to connect! You’ll find tidbits of my life, but the real place to see what my life really looks like is on Instagram. I also share facts about educating struggling learners on Twitter and Periscope. My crafty side comes alive on Pinterest, where I share things I like and things that help me be a better teacher. Follow me!